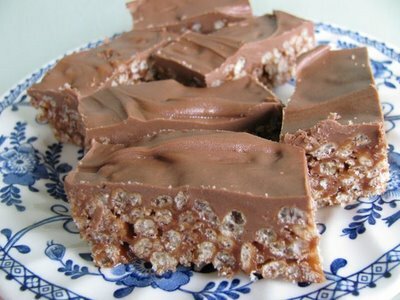 Be careful when you make this Mars Bar Slice recipe - you'll be nagged continuously to make it again. Combine Mars Bars, butter and golden syrup in pan, and stir over low heat until melted. Pour mixture over Rice Bubbles and mix well. Press mixture into Lamington Tin. Melt chocolate, spread over rice bubble mixture, then chill until set before cutting into squares. Don't worry about storing them in an airtight container - odds are high that they will disappear right from the tray.